Odeon practices responsible service of alcohol. Little Black Dress AUSTRALIAN FINAL THIS FRIDAY!!! Club Odeon practices responsible service of alcohol. 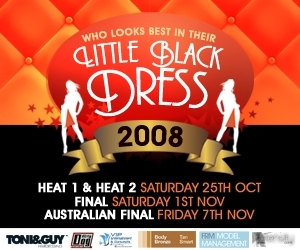 Little Black Dress Heats 1 & 2 THIS SATURDAY!!! Great band and great DJ! Been a while since I wrote any reviews. pretty early for the cocktail party so didn't see the whole night. However, we did see the band. into 80s check them out. 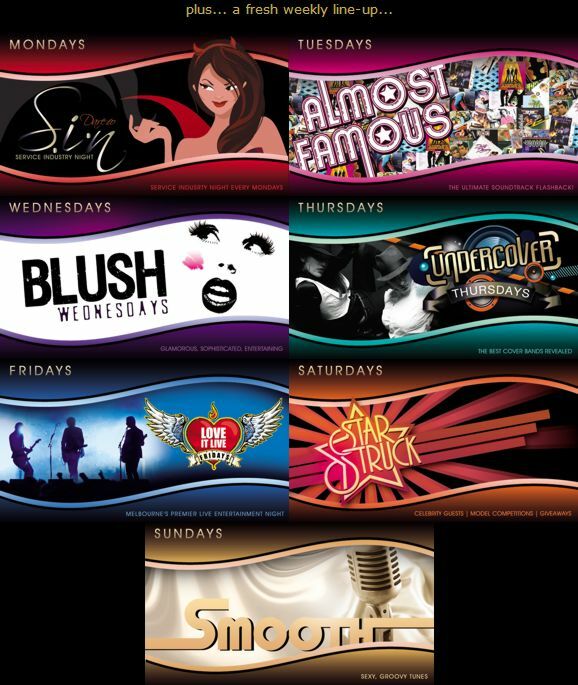 Playground @ Seven, Groovalicious @ The Watermark. The mainstream places like The Loft will have the best commercial RnB mixed in. 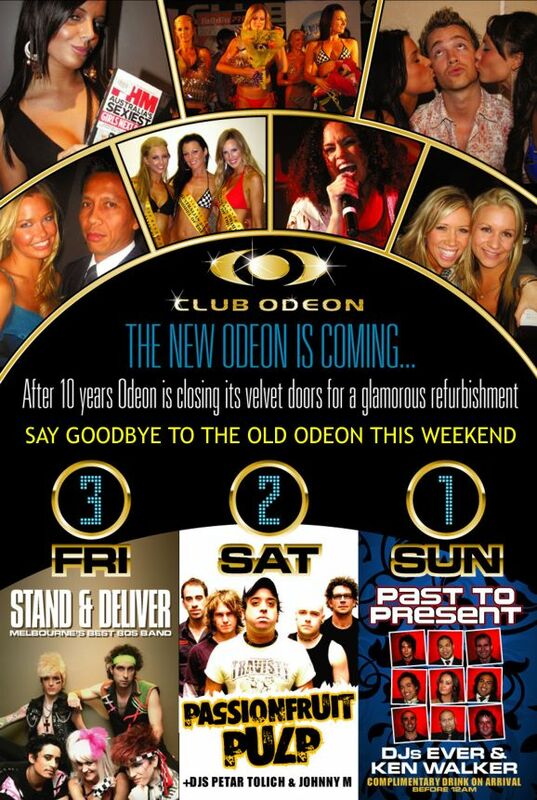 You will get a bit of RnB at Odeon Sat. plan some really big things for Mondays. hi do you have photos of the girls at the sports model comp for this year..? an rnb room there as well. weekends, on Saturday nights, and they are SO MUCH FUN!!! Stand and Deliver were AMAZING!!! A must see for all die hard 80's fans.. Ill be back for more!!!!! Stand and Deliver go off!!!!!!! nissed out on! LOVE IT. Jeans West Fashion Parade from 9:30pm! Support Red Nose Day - Wear Red for free entry & complimentary drink before 9pm! PLUS, enter to win an Esky full of Bacardi Breezers! no fightstarters eveyone is there for a good time. try, you won't be dissapointed!!! night out after a long week at work. We've got the Grand Prix Race Week Covered!! + Heaps of giveaways all night! Lillian Caron + other prizes courtesy of Face of Australia & Midori. Doors open 6pm. Parade from 10pm. Melbourne to compete for the national title of Miss Formula Fever 2004.
opportunity to compete in the WORLD FINAL!! Doors open 5pm. Competition from 10pm. Friday 4th July @ Club Odeon. Parade time 10pm. Charlie’s AngelsFull Thottle Movie tix to giveaway. choreographed for your viewing pleasure. This will be a parade not to be missed! cheap drinks, and hot boys!